There's so many things you can use to create nail styles, one of them is a sponge. Many bloggers use makup sponges but you can just use one of those cleaning kitchen sponges as well. They create a slightly different (more rough) effect but they are so much cheaper! 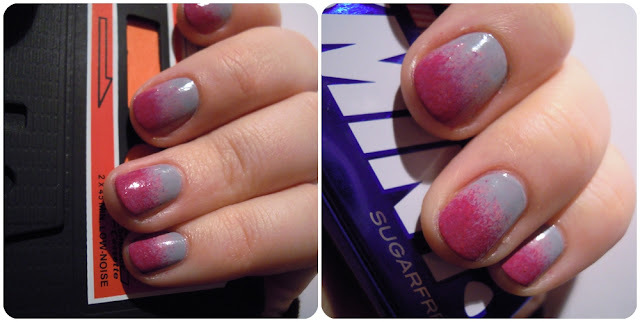 Today I just quickly want to show you two different nailstyles I recently did using a sponge. 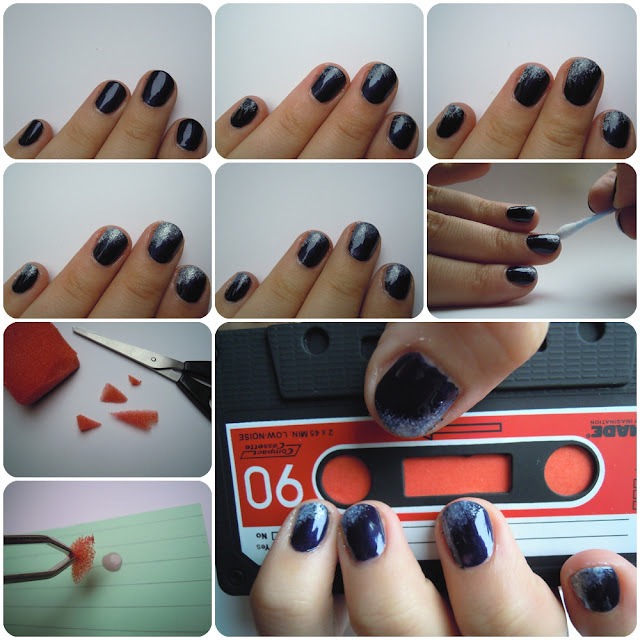 Just cut off little bits of an old sponge and dab it into a drop of nailpolish. Dab it onto your nails and that's basically it :) Don't forget adding a topcoat! Apply your base color all over and then start dabbing on your colors, covering just a little bit less of the nail with each coat. What are your favourite tools for doing nail designs?